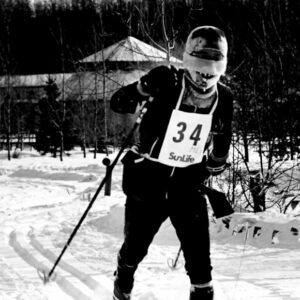 Canadian Birkebeiner Society is registered January 17, 1985. The signatures on the original bylaws are: Brian Peters, Kaare Askildt, Doug Kelker, Douglas Russell and Neil Warner. Jeannette Kary and J. David Shields are also involved. The first event is held February 9 from Westridge Golf Course in Devon, to Fort Edmonton Park in -29C or colder, on a shortened course. 127 entries. Sun Life is major sponsor. February 8: Devon Golf and Country Club to Fort Edmonton Park: the course is shortened to about 45km. Birkie Lite category (no pack) is added. The Ole Hovind Award is introduced, with Art Jackson as first recipient. February 14: “St. Valentine’s Day Massacre”: the event is cancelled due to a major meltdown. Ole’s Two-Bit Tour is introduced as a 20km event. The Birkie is the Alberta entry in the Canadian Ski Odyssey Series. January 20 date is chosen to avoid conflict with Calgary Winter Olympics. In a decision made a week before the event, the Birkie is moved to the Blackfoot site (Waskahegan – Elk Island road – Waskahegan loop), due to minimal snow and river breakup on the original Devon-to-Edmonton route. Skating is allowed. January 28: The course is again moved to Blackfoot (point-to-point Blackfoot Staging Area to Waskahegan) two weeks before the event, due to loss of snow on original route. Cooking Lake – Blackfoot Provincial Recreation Area becomes the official and permanent home of the Birkie. The course runs from Blackfoot Staging Area road to Waskahegan Staging Area, the site of the stadium. More than 500 skiers are registered for February 10. The Learn to Loppet program is instituted and lessons begin. “Ice year”: The course runs from Waskahegan to Islet return, with the infamous loop, February 9. Grants are received to build the Meadow Shelter and storage shed, completed in October 1991 after 14 weekends of volunteer labour. First year to start from Ukrainian Cultural Heritage Village (UCHV), February 8. The 14km Mini Birkie and 33km Journal Tour events are added.  Torskeklubben becomes a major sponsor and CPAWS is major pledge charity. More than 1,000 skiers. A grant is received to install electrical power in the stadium at the Waskahegan Staging Area. “Nothing Could be Finer than to Ski the Birkebeiner”, February 13. The start is moved to Blackfoot Staging Area when the snow melted from Goose Lake at UCHV. February 12: UCHV to Waskahegan, with 1,484 skiers. Red bibs are introduced, for skiers who have skied all of the long-course Birkies. Also, purple bibs are introduced for skiers who have skied more than 10 Birkies. The Society purchases two Alpine II snowmobiles for trail grooming. February 11: “Ski the Legend 10th Anniversary”, from UCHV to Waskahegan in chilly -22C with 1,919 skiers. Birkie hosts the National “Ski for Light” event. Birkie volunteers construct the Elk Push shelter. February 10: Over 2,000 skiers are registered for the first time. The ancient Pisten Bully groomer suffers a major breakdown on the course, two days before the event. The course is routed around the machine; City of Edmonton Excel machine sets the tracks. First Adventure Series at Provincial Museum with Richard Weber. The Society registers the “Birkebeiner” name as a trademark, June 21, 1996. February 8: Another record: 2,354 skiers, with perfect conditions. A new course record of 2:45:52. National Ski Team members participate for the first time as a team. An infant is carried for the full 55km distance, a world first. Strathcona County becomes a major 3-year sponsor. The Vikings Feast is sold out at Festival Place. “Slushfest” as temperature soars in the afternoon, turning the tracks into deep mush. Entries are down to 1,974, but volunteers increase to about 550. The Birkie becomes a qualifying event for the American Birkebeiner. The oldest skier in the 55km event is 74; the 70+ category is added to long distance events. Age categories are added to the Journal Tour event. The Society bylaws are updated, August 12. February 13: a new record with 2,475 skiers, 650 volunteers and perfect conditions. Record number of international entries and Haakon Haakonson Award winners. The oldest 55km skier is 76 years young. Keskinada joint marketing and “RunBikeSki” triple crown challenge started; 33 complete the 3 events. Elk Push Gate is built for a new route. Birkie 15th Anniversary edition on February 12. 2,308 entries. Yardley Jones water colour is commissioned for poster artwork. Difficult winter conditions and trail problems cause major course changes and 4 days of snow shovelling one week prior. A major snowfall on Monday of Birkie week results in a surge of last-minute entries. Viking Silhouette “Ski the Legend” theme, but the mildest January on record and lack of snow dooms the event. “The Birkie that Never Was”, cancelled on January 30. Happy Birkie Day, Valentine Edition February 14: 1,776 entries. The Society enters into a new co-operating agreement with the Government of Alberta for the staging of the Birkie in the Cooking Lake – Blackfoot Provincial Recreation Area for the next 5 years, with renewal provision for a further 5 years. “It’s a Family Affair” theme promotes fun participation. 1,892 entries. New record 68 kids in Ole’s Two Bit Tour. Temperature -5C. Participants from 150 different communities – a new record. With financial help from the Government of Alberta, the Society purchases a new Bombardier BR 180 trail groomer, christened “Prince Haakon”. Double celebration of Birkie 20th and Legend’s 800th anniversary. Special commemorative coin and artwork. But no winter – the event is cancelled January 14 due to lack of snow. The Anniversary theme was “recycled”, celebrating Birkie 20th and Norge Legend’s 801st anniversaries. 1,887 skiers participated. A new program is implemented to separate and recycle waste from the food stations and festival tent. “Celebrate the Challenge” theme for February 9, on track for record number of skiers and great snow conditions. An extreme cold front rolls in just before event day, sending temperatures down to -46C with wind chill on Saturday. Based on this forecast, the event is cancelled on the prior Thursday. A record number of skiers register from the USA and a record number of Haakonson Award winners are eligible, had the event been run. “Feel the Heartbeat…Ski the Legend” theme for the Valentine’s Day edition on February 14. 1,482 entries. Good course conditions with -18C at start. This is the first year of online registration and chip timing. Financial challenges emerge due to the skyrocketing costs of running the event. The Vikings Feast is suspended, and a scaled-back Nordic Fair is held at Festival Place. A major re-design of the Birkie web site is completed. “Ski With Friends in 2010” theme. 1,481 entries. “Bring a Newbie to the Birkie” promotion, with prizes. A surprise snowfall overnight makes it a tough slog for the leaders. If that isn’t enough, the first 200 or so skiers have to scramble over the Elk Island fence before the gate is unlocked. The Nordic Fair is moved to Edmonton Hotel 76th Ave. in SE Edmonton. Long-time Birkie General Manager Cathy Schreiner retires, and is replaced by Glenda Hanna. Also, a new staff position, Office Administrator, is approved and filled. “What’s Your Birkie Story?” theme. 1,608 entries. Blue bibs are introduced, worn by skiers who have completed more than 20 full-course Canadian Birkies. For the first time, volunteer orientation and recognition is combined in one function, on the Wednesday night of Birkie Week. A periodic e-mail newsletter (the “E-zine”) is introduced to communicate Birkie news to skiers, volunteers and others. “Ski the Legend” theme. 1,158 entries. Zone4 of Canmore takes over online registration and electronic chip timing functions for the 2012 event, and provides live results screens for the announcer booth at finish line, and in the festival tent for participants and spectators. An orchestrated attempt to break the Guinness record for “World’s Longest Ski Line” falls slightly short. The Nordic Fair moves to Ramada Hotel and Conference Centre on Kingsway. The Birkie enters the world of social media, with presence on Facebook and, later, Twitter. The Society purchases a new SkiDoo Scandic snowmobile for trail work, with the help of an Alberta government grant. The Society commences ongoing active participation in the Edmonton Winter Cities Strategy initiative. 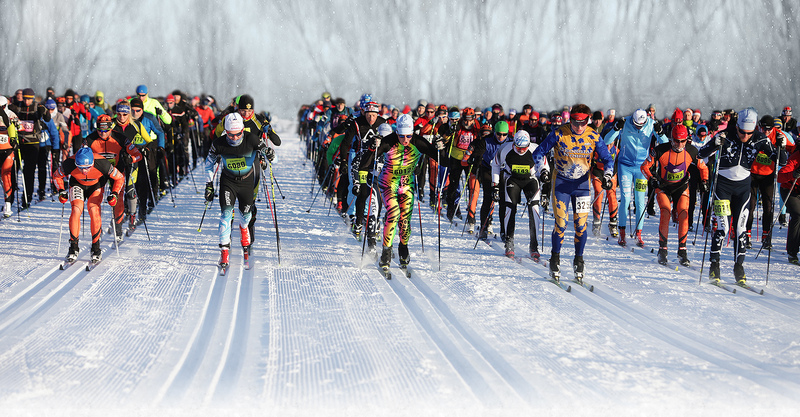 “Generation Birkie – 25 Years Young” theme. 1,628 entries. Skiers in their 80’s complete the 55km events. On-line results are provided virtually instantly after each skier crosses the finish line; this replaces newspaper-published results several days later. The Vikings Feast (to celebrate the Silver Anniversary) makes its return after an absence of several years. Merchandise sales are enhanced with the addition of a debit card / credit card merchant account facility. The Society continues to “go green” by transforming the registrants’ program guide to an on-line format, with a very limited print run. “So Far . . . soo good” theme, with 1,538 entries. Very cold conditions result in the long course start being delayed by an hour. Bike ‘n Ski Award introduced to encourage participation in both the Birkie and the MS Society Leduc-Camrose Bike Tour; 13 recipients the first year. The Uncas parking lot is terminated, replaced by Strathcona Transit busing from and to Strathcona Station, for the short start events and for spectators. The Nordic Fair and Vikings Feast are moved to the Agora at the Strathcona Community Centre, as part of a renewed sponsorship arrangement with Strathcona County. At the Vikings Feast, an Adirondack chair made of wooden skis, donated to the Birkie, raises $2,000 in matched contributions by a philanthropist and a family when it is auctioned, and the chair then went to the family. The new Birkie Training Group program is introduced. “Ya Gotta Have Heart” theme for Valentine’s Day, February 14, with 1,598 entries. A new event, the 44km Birkie Two-Step Relay, is introduced. Trail conditions are excellent during Birkie week, but a surprise snow squall Friday overnight creates chaos. The start is delayed an hour and the tracks are re-set in early morning but don’t hold up; the long course is shortened to 44km, and many tables and chairs from the Festival Tent are moved outside into the warm sunshine (the “Birkie Outdoor Bistro”) due to potentially-dangerous snow and water accumulation on the roof. Odin’s Ravens entertain skiers and volunteers with Viking battle re-enactments. New Birkie recognition awards are initiated: Builders Awards for outstanding volunteer service, and Special Awards for exemplary service by non-volunteers. Two new Birkie Training Group choices are introduced: the Dryland Group and the Mid-Week Group. Dubbed a ‘Super El Ninó’ winter, only 50% of average snowfall came down (30 cm vs. 59 cm) and there were 20% more days above 0º Celsius than normal (41 vs. 33 days from November 1 – January 31). February had an even stronger plus-day trend with virtually a full week with above zero days; it was +12º C in Elk Island National Park Tuesday, February 9! The dearth of snow and overabundance of plus temperature days this winter led to the decimation of our Birkie trails, therefore the event was cancelled. Spirit of the Ski: A near perfect day on February 11 allowed over 1,000 skiers a chance to experience the routes and trails provided by our hard working Alberta Parks team and Birkie Volunteers. Our crew were challenged with pre-event icy conditions, rerouting courses, snow harvesting, and significant remedial trail work resulting in a full range of 55, 31 and 13 km trails that were in very good condition. The 2.5 and 4 km were up to the demands of our younger skiers and we look forward to seeing these kids develop into our future long-distance participants. Skiers from 2 – 92 years old persevered, had fun, set personal bests, celebrated and demonstrated the Spirit of the Ski in wonderful fashion. Birkie 29 will be remembered for having some of the best snow and track conditions in a long time! Our volunteers and Park staff had been preparing the trails and were awaiting a decent amount of snow which arrived just in time. All of our volunteers, Alberta Parks and Ukrainian Cultural Heritage Village staff, sponsors and the 1000 or so skiers truly embodied the Spirit of the Birkebeiner tradition and made Birkie 29 so very memorable. We had another wonderful day with great weather, some fresh snow in the afternoon, full distances, a warm Festival tent with the usual great food and service, Vikings on site and an Alley Kat beer garden. What a day!! Our skiers were really Flying over the Snow and we were grateful to see so many active participants getting outdoors and enjoying winter.